Renowned U.S. automaker Tesla Inc. has recently installed a 50-stall charging station in Kowloon bay, Hong Kong, a move that comes in response to the automaker’s bid to expand its customer reach in the city. Indeed, reports claim that the initiative to lure customers back has come after speculating a drastic drop in sales caused due to recently imposed government tax break. Sources close to the matter state that Tesla’s newly opened two-storage charging station at the FT Life Tower located in Kowloon Bay would be the biggest one in the Asia region, seemingly spreading across 4,564 square meters of area while being equipped with 50 Tesla made wall connectors, charging at up to 7kW/hr. The car park, with 122 spaces, would have an hourly parking fee of US$3.59 (HK$28) for all vehicles, with no additional cost for EV charging, add sources. 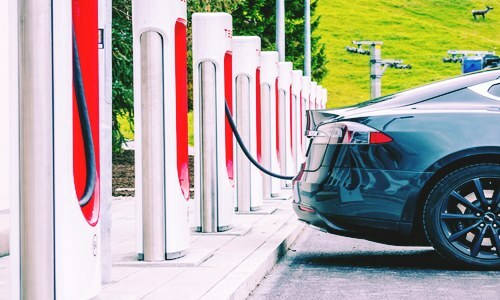 Reportedly, the move comes on top of Tesla’s recent opened first supercharger station in the region, capable of fully charging a Tesla EV in just 75 minutes. As per an official statement Tesla claims on standing strong on its commitment to Hong Kong, and to continue expanding its EV charging station footprint all over Kowloon and its new territories in Hong Kong. Commenting on its new station in Kowloon, the company said that the recently opened facility would be the biggest charging station located in Asia Pacific region. For the record, Tesla already has 92 superchargers at 21 supercharger facilities in Hong Kong. As per reliable sources, that the electric automaker is currently in the process of acquiring land in Shanghai for its first manufacturing facility outside the U.S., furthering its plans after months of disagreements with CEO Elon Musk. In addition to the charging station in Hong Kong, Tesla also operates more than 1,300 superchargers and 2,000 destination charging posts in more than 170 cities in China.